Feed those features into a machine learning algorithm which predicts the category these features belong to. Some popular choices of algorithms are Neural Networks, SVMs, decision trees, boosted decision stumps, etc. Q: Why did the robot cross the road? This year's Best Student Paper winner at CVPR has given us a flavor of something more, something beyond the traditional action recognition pipeline, aka "early event detection." Simply put, the goal is to detect an action before it completes. Minh's research is rather exciting, which opens up room for a new paradigm in recognition. If we want intelligent machines roaming the world around us (and every CMU Robotics PhD student knows that this is really what vision is all about), then recognition after an action has happened will not enable our robots to do much beyond passive observation. Prediction (and not classification) is the killer app of computer vision because classification assumes you are given the data and prediction assumes there is an intent to act on and interpret the future. While Minh's work focused on simpler actions such as facial recognition, gesture recognition, and human activity recognition, I believe these ideas will help make machines more intelligent and more suitable for performing actions in the real world. To give the vision hackers a few more details, this framework uses Structural SVMs (NOTE: trending topic at CVPR) and is able to estimate the probability of an action happening before it actually finishes. This is something which we, humans, seem to do all the time but has been somehow neglected by machine vision researchers. The need for early detection of temporal events from sequential data arises in a wide spectrum of applications ranging from human-robot interaction to video security. While temporal event detection has been extensively studied, early detection is a relatively unexplored problem. This paper proposes a maximum-margin framework for training temporal event detectors to recognize partial events, enabling early detection. Our method is based on Structured Output SVM, but extends it to accommodate sequential data. 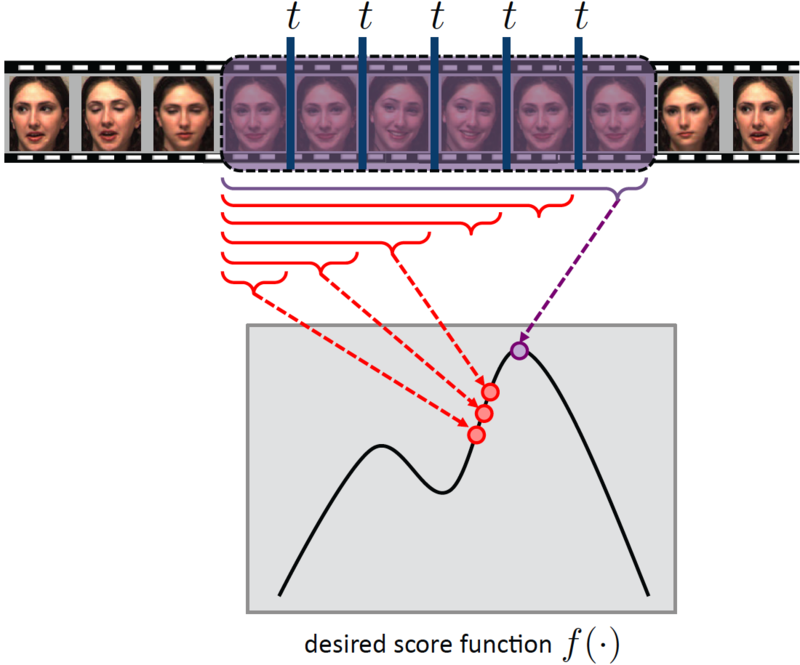 Experiments on datasets of varying complexity, for detecting facial expressions, hand gestures, and human activities, demonstrate the benefits of our approach. To the best of our knowledge, this is the first paper in the literature of computer vision that proposes a learning formulation for early event detection. Minh gave an excellent, enthusiastic, and entertaining presentation during day 3 of CVPR 2012 and was definitely one of the highlights of that day. He received his PhD from CMU's Robotics Institute (like me, yipee!) and is currently a Postdoctoral research scholar in Andrew Zissermann's group in Oxford. Let's all congratulate Minh for all his hard work. I am really impressed with the post here.